I did my spring cleaning a little late this year, and discovered something magical in one of my junk drawers while throwing out old receipts and calendars. Lost within the cabinet for years was a copy of a poem 13 year old me had written for English class. It seems fitting to share with you the first few paragraphs, as it was written as a birthday present to Bilbo Baggins, and today is both his and Frodo’s big day. and the lads were dressing down. in hope to look well, for the Grey Wizard would be at the party, there. with visions of dancing and drinking in their heads. we headed towards the party field for a long birthday mess. I skipped ahead of Ma to find out what was wrong. tore through the bushes with one long, single bound. gave an aura of joy, what a sight to be seen. but a tall, grey man with a long scraggly beard. 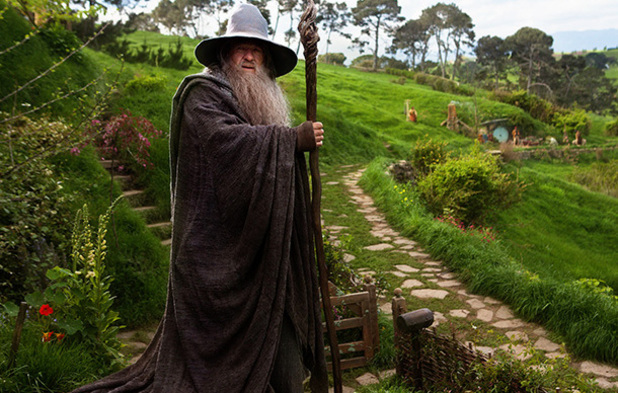 I knew in a moment that it was Gandalf the Grey. 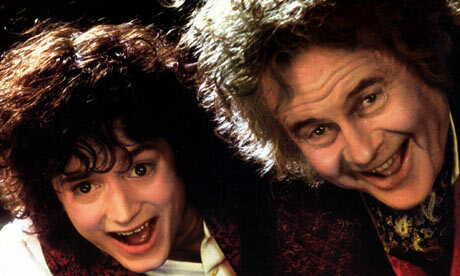 Happy Hobbit Day to all, and to all a good morning! “All of them at once,” said Bilbo. Previous Previous post: Time for Your Close Up!